The logo for Lotus Adventures was created to represent the company’s aim in bringing yoga and the healing arts into people’s life. Inspired by the company’s name, the logo was developed to inspire trust, calm and serenity from the first sight. 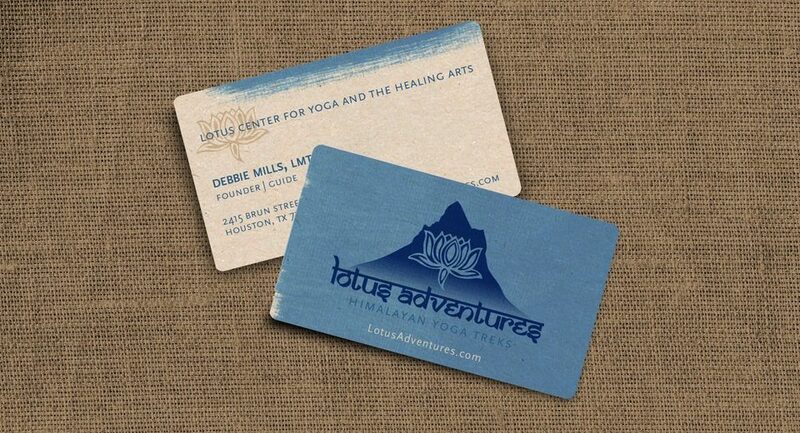 Using different shades of blue and white, the logo design and business cards for Lotus Adventures is perfectly suitable for the company’s interests. The versatile logo used for this company is attractive and touches the senses of everyone who sees it, inspiring them to contact the company when in need. With the aim of providing a bright and straightforward message to potential customers, the business cards feature a rather simple design, which attracts the attention on important details, such as the company’s contact details. Contact Tui Space for logo design that fits your business needs.